On the forefront of dental advances is the amazing CEREC technology we have in our office. CEREC is an acronym for Charismatic Economical Restoration of Esthetic Ceramics. This high-tech equipment allows us to restore damaged teeth with beautiful custom ceramic restorations in a single visit, completely eliminating the need or multiple appointments over a several week period. The process can create a ceramic crown, inlays, onlays or veneers using 3D photography, computer-aided design and manufacturing known as CAD/CAM. Using an intra-oral camera, a photograph is taken of the tooth and the picture is loaded onto the computer. Using Computer Aided Design technology, Dr. DeGregorio and her team design the restoration and transform the image into a three-dimensional model. Then the appropriate shape is calculated to size to create a near perfect restoration. When the model is ready, a milling machine then creates the restoration using a high-speed diamond bur and calculated precision. The restoration is then bonded to the tooth using a special resin bonded cement. The result is a beautiful custom designed metal-free restoration, made to fit your mouth perfectly. Dr. DeGregorio and her team have mastered this technology through extensive educational and clinical training, and it has been adopted as a standard of care since she introduced the technology to her dental practice. Composite fills are completed with a restorative material that contains 30-50% less resin than many other composite brands. Less resin means a reduction in the presence of trace amounts of bisphenols. The composite filling used in our office does not contain any Bisphenol A or B. The composite material used by Dr. DeGregorio tests high for biocompatibility among patients. Porcelain is the most biocompatible, hypo-allergenic, non-metallic restorative material of which we are aware at this time. Porcelain restorations are also dramatically less effected by factors that influence longevity of both amalgams and white composite fillings: i.e., restorative technique, filling size, your body chemistry, and your nutritional intake. Porcelain restorations (inlays, onlays, crowns) can last 12-15 years or longer. We offer lab-processed porcelain or, for your convenience, CEREC CAD/CAM technology for same-day, on-site porcelain restorations. Potential longevity of dental restorations is a critical factor because every dental procedure represents trauma to the nerve of the tooth. Repeated trauma to the nerve from filling replacement during the course of a lifetime will eventually cause nerve breakdown. Porcelain restorations cost more initially than amalgams or composites, but porcelain’s longevity decreases the potential need for root canal therapy. Straight teeth are beautiful, but the cosmetic benefit is just the start. Properly aligned teeth play a big role in both oral and systemic health. We are proud to offer Realine, a system of “invisible braces” that is not only safe and effective; we believe it is superior to comparable treatments currently on the market. Realine treatment is designed for people with minor crowding or small gaps in their front teeth. With Realine, we can close them and treat orthodontic relapse, giving you a straighter, more confident smile without the discomfort or disruption of traditional braces. The Chao Pinhole Surgical Technique is a scalpel-free, suture-free procedure for correcting gum recession, invented by John Chao, DDS. Through a small hole made by a needle, specifically designed instruments are used to gently loosen the gum tissue and glide it over the receded part of the tooth. Patients can expect minimal post-operative symptoms of pain, swelling and bleeding. Most patients are surprised and grateful for the instant cosmetic improvement. Used together, MyPerioPathsm® and MyPerioIDsm PST® salivary DNA diagnostic tests can help reduce patient incidence of periodontal disease by helping identify patients with and at risk. This is genetic testing for gum disease, performed with an easy saliva test. According to the American Dental Association, an estimated 75% of all Americans over the age of 35 have some form of periodontal disease. Moreover, research conducted during the past 10 years has provided insight into the Perio / Systemic Connection and the link between chronic periodontal infections and heart disease, diabetes, stroke, and some forms of cancer. 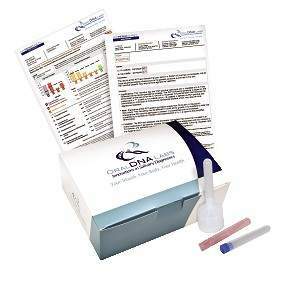 OralDNA offers two DNA-Polymerase Chain Reaction (PCR) tests for periodontal disease diagnosis and genetic susceptibility: MyPerioPath detects the presence and quantity of specific bacteria associated with periodontal disease, while MyPerioIDsm PST provides a means of assessing an individual’s genetic risk for periodontal disease. The company also has an oral HPV test named OraRisksm HPV for use in assessing the risks associated with certain types of oral cancer. Used together, the new salivary DNA diagnostic tests can help reduce patient incidence of periodontal disease. MyPerioPathsm provides early and accurate diagnosis of existing periodontal disease by identifying and measuring specific types of bacteria, while MyPerioIDsm PST assesses a patient’s genetic predisposition to developing periodontal disease well before physical symptoms occur. Platelet Rich Fibrin treatment is used for oral surgery procedures such as gum grafts, extractions, implant procedures and cavitation surgery. Prior to oral surgery, a patient will have his blood drawn and placed in a centrifuge that will separate the blood into three individual components: plasma, red blood cells and a small amount of white blood cells and platelets. The white blood cells and platelets are called the “buffy coat,” which will turn into the platelet rich fibrin. Platelet Rich Fibrin treatments can enhance the success rate of many oral surgery procedures. Every patient’s product of platelet rich fibrin is processed from his own blood, and there are scientifically proven benefits such as increased healing abilities. After centrifugation, the platelet releases specific growth factors, including transforming growth factor beta (TGF-B), platelet derived growth factor (PDGF), vaso-endothelial growth factor (VEGF) and epithelial growth factor (EGF). Each of these factors plays a specific role in new vascularization (formation of blood vessels) and hard and soft tissue healing. Since patients heal faster, they enjoy a smaller chance of infection, dry socket, failed grafting or failed implants. 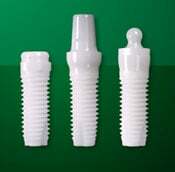 One of the newest advances in dental implantology is the all-ceramic Z System® implant. Designed to promote bone growth and cater to patients with allergies or complications with metal implants, Z-systems implants are revolutionary. Made with the highest quality zirconia material, we provide this type of dental implant at our patients’ requests to improve the osseointegration process (the fusing of the implant to the jawbone) and reduce the risk for allergic reaction in particularly sensitive patients. Clifford Materials Reactivity Testing (CMRT) is a laboratory screening process used to help identify existing sensitivity problems to various chemical groups and families of compounds in an individual patient. This process is currently being implemented in the CMRT Dental and Orthopedic panels. After a patient’s test panel has been completed, the patient’s reactivity test results are compiled in a report. Click to visit the Clifford Laboratory Website.